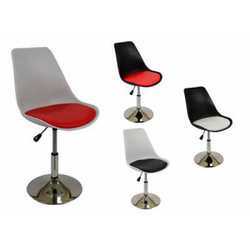 Tulip- white or black rotating bar stools, adjustable height. (Eero Saarinen design). Suitable for home, kitchen, living room, office, bar, pub, shop, restaurant, hotel, pizzeria, at the best value for money.